I am happy to introduce Nancy Segovia, one of the fourteen authors in the collection of paranormal short stories in “Love Potion #9”, due to be released on September 1st, 2016. Nancy Segovia has been a professional writer for over 25 years. She has achieved publishing success in the fields of adult fiction, children’s literature, newspaper journalism, feature magazine articles and poetry. 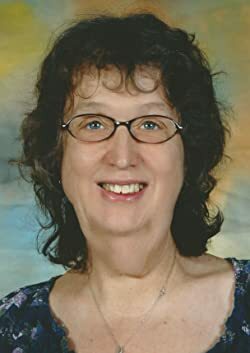 Her other published works include Shine published by Faith and Reason Publishing in 2013, Dragon Tears in 2014, and The Journey Home released in late 2015 all from Faith and Reason Publishing. Her story The Owl and the Pussycat will appear in the box set Love Potion #9 on September 1, 2016, and her award-winning novel, When You Wish Upon A Star is scheduled to be re-released in September, 2016 by Faith and Reason Publishing. She has a Master of Arts in Religion from Northwest Nazarene University, and a Masters of Liberal Studies in Creative Writing from the University of Denver. She is a retired college English professor, and is a lifelong learner, who takes continual college level MOOC courses on anything that piques her interest. She is an avid animal activist and owns four rescue dogs and six ornery cats, and is active in slaughter horse rescue. Can a boy without magic and a dragon that can’t fly save their world from destruction? In a land of magic users, one boy is born without magic. In a realm of angry dragons, one dragon befriends a human boy. Together, they follow their hearts on a journey to save their land. They are joined by a wily old wizard and another young dragon on a quest into the unknown to find the creator dragon – Skyhawk — the only one who can save their world from a devastating war. Adventure and danger awaits the misfit group as they travel across the endless Sea of Lights, escape the mysterious earth dragons in the Valley of Death, and continue to search for the mythical Singing Mountains and Cloud Caverns. Will they succeed in finding the powerful dragon and prevent the coming war, or will they fail in their quest, and lose not only their lives but all of creation as well? 5.0 out of 5 stars Charming Fantasy for a Wide Range of Readers! 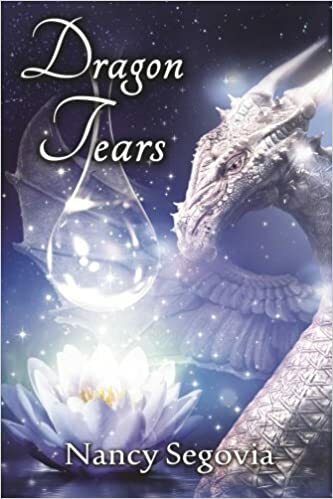 Dragon Tears is a charming fantasy for a wide range of readers! I read this novel to my fourth graders, and they were enchanted by the fast-moving plot and adventures of Patrik as he not only navigates a fantastical world, but also the struggles that beset any youth as he endeavors to grow and mature. Of particular delight to young readers are the well delineated main characters who feel like they are misfits because they can’t engage in particular forms of magic. Yet who doesn’t feel like an outcast between the ages of 8 and 18? As the main characters draw upon each other’s strengths and wisdom, they embark on a journey to save their land anyway, which leaves the reader rooting for these underdogs as they achieve many victories. Vividly told, this is one fantasy tale that brings real-world character building to the young reader’s experience and will make you want to revisit the story again and again. Nancy Segovia makes a beautiful read for all ages of morals about no matter our differences and what we were “raised to believe ,” we have the ability to overcome if we can look a little farther and a little deeper than what we have been taught our whole life. In a world such as ours, with society being what it is these days, this book should, in my opinion, be a must in EVERY SCHOOL, AND EVERY GRADE, at least ONCE. Both of my boys will be required to read this as we do homeschooling, but, we also do not allow bigotry OF ANY KIND OR DISCRIMINATION. And without the youngsters in this book, and thankfully the Wizard, whom has actually had real interaction with dragons, helped these ‘races’ or ‘species’. I loved this book, you will too, I think! I received this book in return for an honest review. Posted by Denna Holm on July 7, 2016 in Archives and tagged adventure, danger, dragons, fantasy, magic, mythical, quest, war, wizards.